1	Week 29 – I don’t know what…. It’s been a while since i blogged last. the 26 week class ended, but then got extended, a 2 week trip to Kauai for a live MKMMA event, and a Go90Grow event to better myself. So i’m not suppose to worry about what happens next, I am only suppose to do what is right right now. When I do the right thing, the future will be correct, exactly the way it should be, and I have to accept the future and take responsibility for my actions now that create the future. There are the laws of least effort: they contain the law of acceptance, the law of responsibility, the law of defenselessness. I have accepted my current status, I take responsibility for myself and where I am at today, and I am going to be defenseless and not persuade others to accept my views. These laws make peace inside all of us, and we can then live right now, today, in detachment of the future. I do hope we all have a great future, so lets go do something good today, give a little of something, a gift, a prayer, just something you did not give yesterday and let it grow. Getting better, don’t we all wish everything is going to get better? If you allow yourself to “receive” you should get. Before you can “receive” you must make “give.” Let’s just say a glass of water, it is empty, just air. we must be willing to give away the air inside the glass as it fills with water. Same for ourselves, if we wish to get, we must give. What should we give so we can receive? We can give good thoughts, good wishes, love, and many other good things. Last night I gave some of my time to meet with a couple of good friends who were visiting from outside of the country (Claes and Maria Wallenberg). During the evening Claes gave me something which I needed, some skills for my business. and Maria gave me some ideas that help worked on my brain and vibrations (some master keys stuff). I know I gave something to them to make their stay in the united states a little better. We must give to get, and when we get, we get better. Thank you Claes and Maria! Class is over, i’m on my own. After blogging every week for 26 weeks or so, this is a habit, and a habit I enjoy. I like writing what is going on and giving something back to my friends and business partners. I commit to myself and to my family, friends, and business partners that I will not quit. I will persevere, I will do everything and take full responsibility. I have turned the heat up on my habits, what ever I have done yesterday, I am doing more today. I am living life as if this is my last day (It’s not but it’s in the scroll), and I create good habits, I laugh at the world, and tomorrow is a new day. I make more calls than ever before, I give presentations every day, I give to everyone I come into contact with expecting nothing in return. My life is full, my heart is full, I am whole, perfect, strong, powerful, loving, healthy, rich, harmonious, and happy. Peace to all of my friends, I wish you the best of luck, love, happiness, and that your DMP manifests exactly the way you have created it! How time goes by fast. It has seemed like yesterday when I did not know what I did not know. Seems like time goes by faster and faster. Twice recently I have heard about the “Dash.” The “Dash” can be known as our time alive in our physical body, what did we do with our time? Did we do something great, or just live and nobody knows who we even are. What will you be remembered as? What did you do to make an impact in your family’s future? So what is “The Truth?” The truth is the way things really are, not what we see, but how they behave. Remember when the world was flat? Well the truth is it is round. Dogs know the truth, they know who to bark at and who to wag their tail for. “The Truth Will Set You Free!” Ever hear that one, I have heard it from religion, police officers, and the Master Keys. Think, doesn’t it feel better to just be honest, and it does hurt all the way up to the point, but once we commit and surrender to the truth, BAM! All gone and we are on our way to being better, feeling better, knowing better, and living better. Once the truth is known, everything else revolves around that. 1. If you own a business, lets say a fast food restaurant, you have employees, and you pay the employees to work for you, and while they work your customers come in, order food, pay, and BOOM you make money! Not so exciting does it sound huh? Not to me. Seems kind of like a normal thing, can even be a headache like an adult day care or something. 2. If you have a “deal” where we help others make money by empowering them to grow, and learn some skills then we are talking something huge, something worth reading on for. Lets shoot another example of a stock broker. The stock broker has clients and the broker uses their money to invest and grow, when the broker makes money for his clients, the broker makes money too. But… if the clients invest and loose money, the broker still wins and make money for the trading etc..
2.1 Back to empowering and teaching skills. Some people have found a way to earn money by teaching skills to their students. The better the skills are taught and applied to the student, the more the student makes. When the student makes money the teacher gets a little bit based on the students efforts, a win win for both the student and teacher. So when a second student sees the first student making some money from skills taught by the teacher, the second student goes to learn. In a little bit of time, you have a teacher teaching a classroom full of students all making money and the teacher gets a small bit. Everyone knows it’s better to get a small piece of a lot of people rather than a large piece of just one person. I am a money magnet because I teach skills hands on and I give these skills away to all of my students. Where do we see this “Abyss”? In the Hero’s Journey by Joe Campbell, and in the movie “The Abyss” by James Cameron. So what does the Abyss have to do with today? George Lucas’ “Star Wars” was one of the first movies to depict where there was a hero who was transformed from everyday average person. There was numerous “Abyss” parts where Skywalker was going to die, or something just seemed like his end. Again, the Abyss and today? 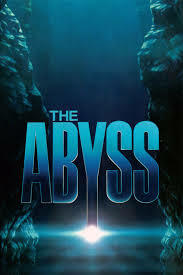 James Camerons’ movie “The Abyss” was a deep down place at the bottom of the ocean where weird things were happening, it was a place nobody had ever gone before, but once there it was amazing! ok, so what about George’s Abyss? I’ve been experiencing outside things, situations, and people, where I say to myself, what is next? How much more worse can it get? I’ve been through a lot, ups and downs, and this time is no exception. This time I know it exists, it has a name, and i’m ready for it, bring it on! Bring on the Abyss! I understand that it’s a cycle of life, and I want to get it all, all the bad, negative, emotions, sadness, challenges, and everything else I left out. Bring it on because i’m going to spit it out! I’ve become a better person the past few months, and i’m looking for these bad things and my mind keeps on closing the door to them. Something bad happens I let it go. I have been trying to push myself to the Abyss and just get it done with and I just can’t. Last night I decided to go off the grid for a few hours, if you include sleep, it was about 15 hours, no electronics, no lights, nothing! Gave me time to think…. and think I did. I was looking for this Abyss and could not find it. I could only find good, forgiveness, love, and compassion. After waking up, I had a new refreshed feeling. If the Abyss over? I don’t know, but if it comes back, i’ll spit that one out too. 9	Week 22 – What is important to me? So, it’s late, I have just read numerous blogs from all kinds of subject from Joseph Campbell’s Hero’s Journey a 4000 year old myth, to an old indian saying that we have two wolves in our head, the 1st is of peace, love and joy, and the 2nd is of anger, hate, and fear, the wolf that survives is the one we feed! Then we have the “blue print” in our head, there is an old blueprint and i’m trying to write a new blueprint, and the old blueprint just keeps coming back as much as I try to erase, forget, and write over with the new blueprint the thoughts and feelings that I want. I plan my day early in the morning, I have my cup of coffee, steaming hot, smells rich and bold. I have some morning mind exercises I do, reading, meditating, and planning. So then I start my day, my physical day, going to the office, doing what I do every day and in the back of my mind I am thinking “Am I doing the right thing?” I know the right thing is following my Bliss, or DMP (Definite Major Purpose). The answer is NO! I am not doing what I need to do to achieve my DMP, and I ask myself why? I tell myself I have customers, I told them I would do their work (that is how I get paid by doing work) so here I am working. I work til early afternoon, and I have another opportunity to give an hour or two to my DMP. What do I do? I have other things on my mind which need to get done and I “DO IT NOW” but it still is not my Bliss. The blueprint I spoke of earlier, the old blueprint is so use to doing the same old crap that is all that is getting done. I want the new blueprint, the one that will give me the life I want, the life I imagine, to be great and a hero in my own life. How do I give the new blueprint more power? In the book “The Greatest Salesman in the World” I ‘Master my Emotions’, ‘I create good habits’, and ‘I live this day as if it is my last!’ Sounds good right? Yes of course it does, but I am torn like a tug of war game, between what I promised to do for my customers and what I promised myself. and I Always Keep My Promises! I do know from the mind preparation of reading, meditating, etc… I am thinking differently. I am observing what I am doing and what I am not doing. This recognition of what i’m doing, and relating to what i’m learning and what I want, I am starting to assimilate what to do in my mind which eventually is being applied. I use to speak to other people of what they want more of, how it feels for them to not have it now and being able to imagine that it could be theirs and lets go get it together. At first it was choppy and was scripted, but now i realize everyone has same issues that I have, I am able to communicate on a higher level, knowing i’m omnipresent, and omnipotent I feel good, excited full of knowledge and love that I can do it. I can re-write my old blueprint to the new one I really want. And the best part is the next person I will help them along easier, faster, more fun, and above all, teaching them how to give it away! Ever hear the saying “The truth will set you free!”? Most people have, and the ones who say that usually are people who regularly go to church. Now this is just personal experience that people who make that statement I know they are regularly praying in some form to a God they believe in. Lets focus on Prayer, when someone pray’s they close their eyes, sit still, and think and ask for their prayer to come true. Some people pray for long periods of time and pray very often. This is “impressing the mind” which in turn can make their prayer come true. The Truth is that what we think about grows, this is a fact, it’s called “The Law of Growth.” We think of bad conditions in our life and the bad things magically keep re-appearing and that is their life. Then we can think of good things and their life is full of good. We can think of small things or we can think of big things. We think small and the small appears, maybe a cold, or a headache. If I get a headache, first thing I do is think of something else and magically the headache seems to go away until I look for it then it is there again. We think or worry about something bad and we find undesirable conditions everywhere. I know people who focus on the bad, every word and thought is how “bad” something is. They don’t look at the positive. Those people have health problems, money problems, and social problems (they don’t like talking to people, surprise you?). What are we going to think of today, are we thinking of yesterday, today, or tomorrow? Think of today, and live today as if it is your last day. Why worry of yesterday, you can’t change it. Tomorrow may not come, everyone passes away. Live today as if it is your last. And Live it BIG! 6	Week 20 – When will I begin? When will I begin? How about now? Or should I wait, or should I just blow it off and don’t begin at all? What if I need gas in the car, when will I do that? Hopefully before it runs out and leaves me stranded. What if the house needs paint? Should we do that now, wait a year, or never? Most people wait until they sell their house, then they fix it, re-paint etc. Just think of that, Wait until you are going to leave and let someone else enjoy your hard work. Why not paint today and enjoy the fruit of your labor? Let’s discuss what is more important. Gas in the car is important and always is done before we run it dry. Paining we wait. And paying the electric bill or mortgage, we wait on that too sometimes. We need the utilities and a place to live, but why do we wait til the last minute to pay? Either we are procrastinators or we just don’t have the resources. I have begun, I hope you begin now, it’s better for everyone. Everyone is dying for you to “DO IT!” What ever your bliss is, just DO IT! Lets define “Extreme.” Extreme is reaching a high or of the highest degree. We can have extreme light, and extreme dark. Extreme dark there is absolute zero light. When we add light, the darkness goes away. In our thoughts, we can have extreme also, we can think positive and we can think negative. Maybe extreme positive would be charged with happy feeling and everything is great, then the opposite extreme negative where there is sadness, sickness, and everything is not good. Thought has the effect of everything we have today, all our modern technologies, and things. As we have thought of stuff, we then created the stuff. And the more intense our “extreme” our thought, we created more extreme stuff. We made it to the Moon, we landed on Mars, and what is next? In our personal daily life, if we think in extremes they seem to manifest and come true. Think of sickness, extreme sickness, some people are so worried about situations or stress in their life, they get sick. What if we used the other extreme of happiness or good and imagine what our life can be like. Others have done it, very successful people have done it, we hear the stories of their success and they did the extreme to get where they are! In our business, extreme thought will move extreme obstacles and get us to extreme lifestyle and extreme love!